If you are concerned about your online store’s ranking in search engine results, you’ll be glad to know that search engines such as Google actually recommend websites to use responsive design – mainly because having one URL for each page of your online store across all devices makes it easier for users to navigate your site. Moreover, using one URL prevents redirects from happening which reduce loading time, and allows search engine bots to crawl your website faster. If you still haven’t launched your online store, you can easily have your website designed for responsive to nicely display products for both desktop and mobile website visitors. This helps you avoid the often difficult time- and money-costing process of redesigning several existing product pages for efficient responsive display. If you offer a small variety of products in just few categories and your products contain short descriptions, it will be easy to display them to mobile users with responsive design. When your desktop ecommerce store is appropriately re-sized for mobile display, customers won’t be confused with complex category lists and long descriptions which do not look mobile-friendly. If you offer a single-page checkout process for your online store, it will quite easy to make this process responsive in a way that won’t make mobile customers have an impression of a lengthy checkout process. If you already have a complex online store, implementing responsive design can be costly and time consuming. 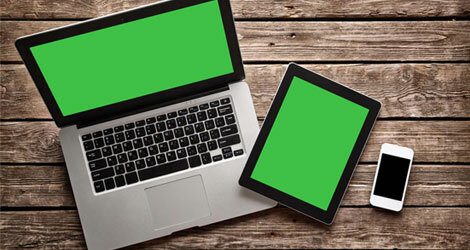 It’s likely that you will have to redesign your entire website to ensure that it fits the screen sizes of multiple devices. If your online store offers a huge variety of products with long descriptions, by going responsive you are likely to risk current customers with too much information on smaller screens and give them an unpleasant shopping experience. As an ecommerce store owner you have to ask yourself if it makes sense to keep your product lists and descriptions friendly for desktop site or make them brief to maximize mobile sales. If you presently have a multi-page checkout process for your online store, moving your website to responsive design could prove to be highly challenging. In order to deliver the best mobile checkout experience, you will have redesign the entire checkout process for all devices. IntegraWeb is an e-commerce design and development company in Halifax. With a special focus on UI / UX, we combine our knowledge and experience with your business goals to give you a mobile-friendly, search engine friendly ecommerce website solution. Call us for a free quote on our services.